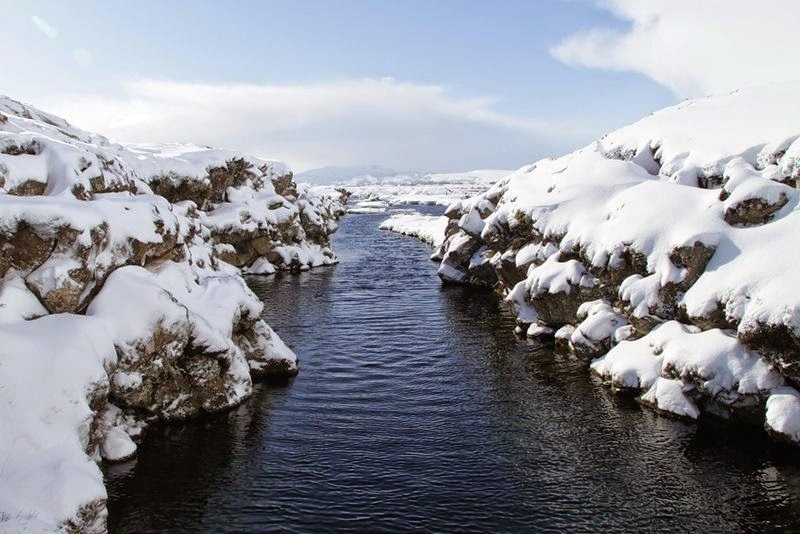 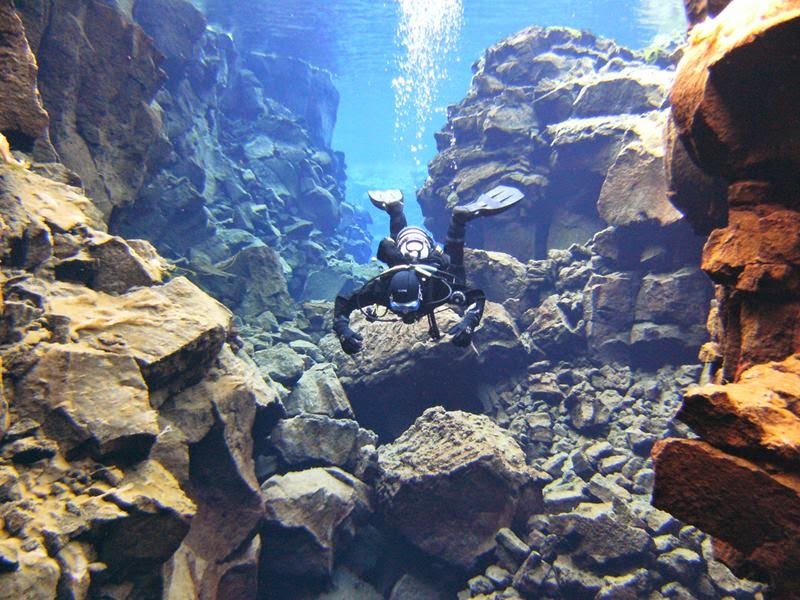 The Silfra crack or fissure is a rift that is part of a divergent tectonic boundary located between the North American and Eurasian tectonic plates. 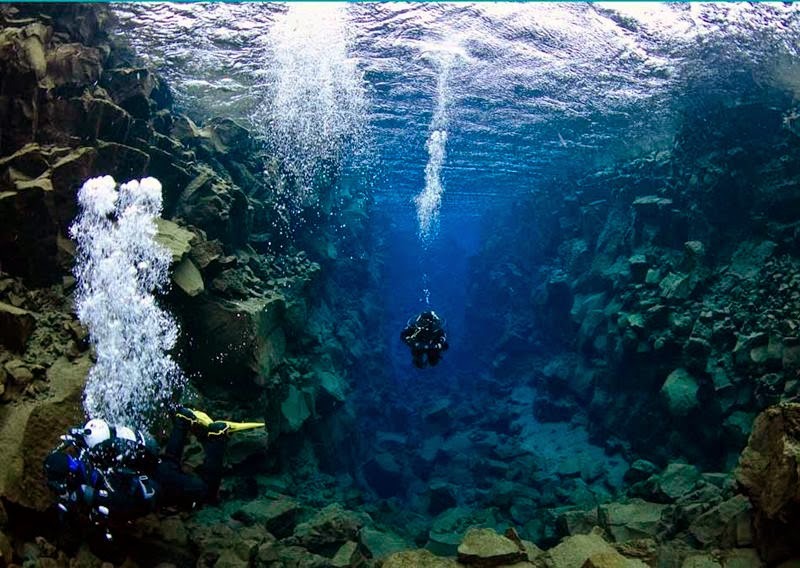 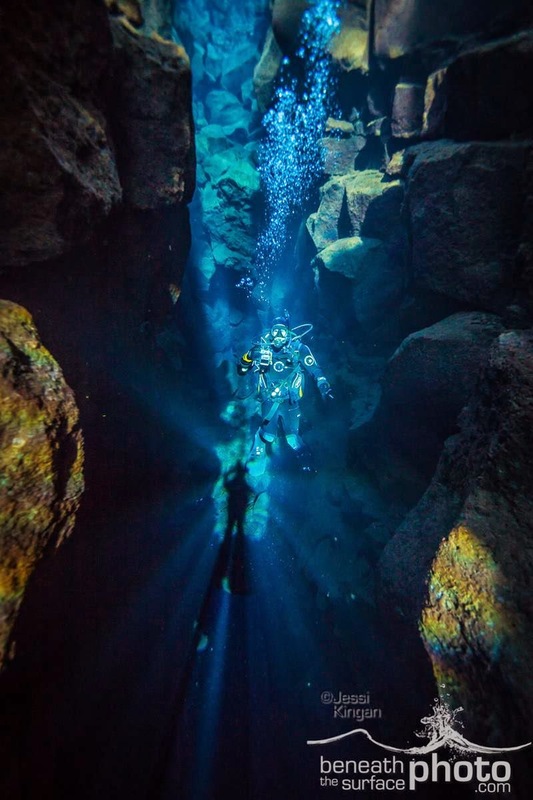 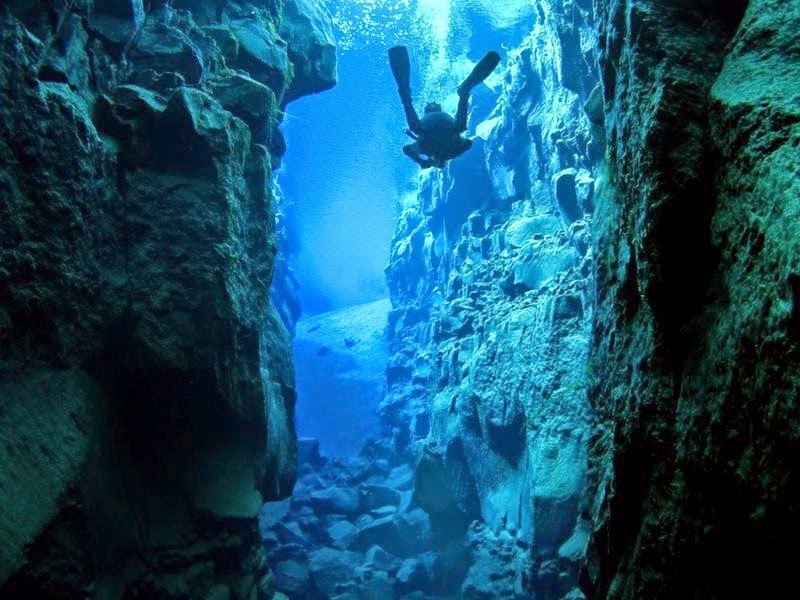 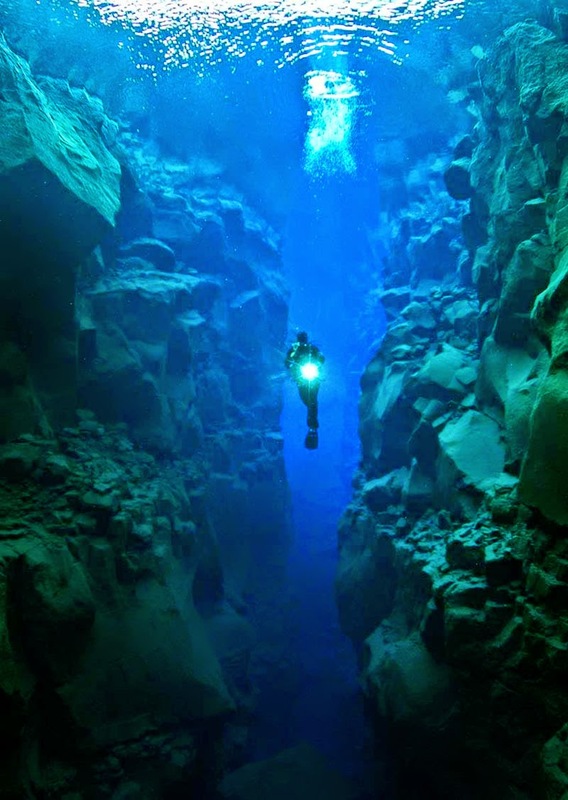 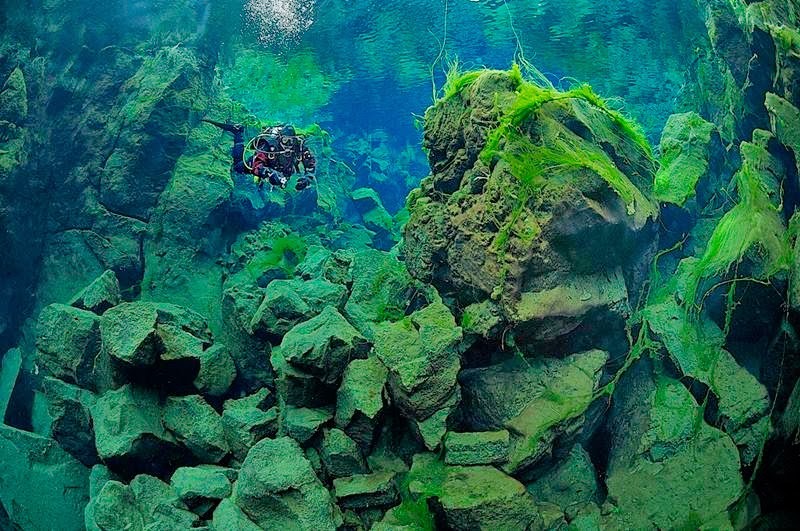 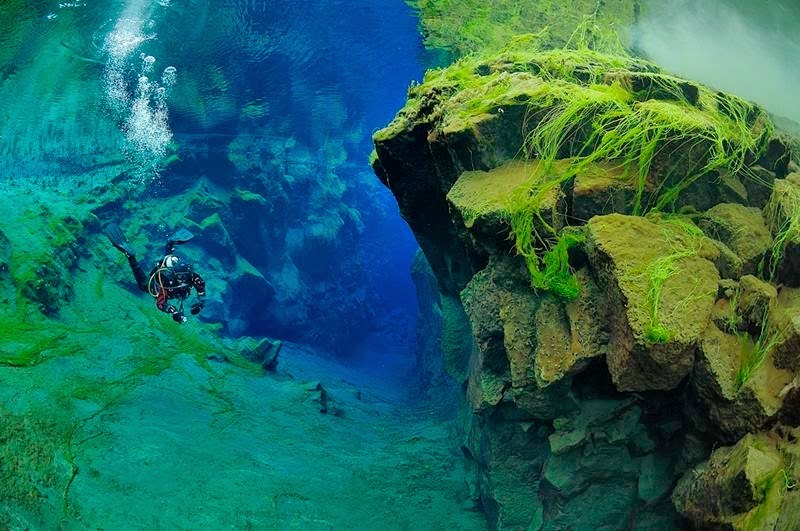 Diving down the Silfra crack allows divers to be able to swim between continents and actually touch two tectonic plates at the same time. 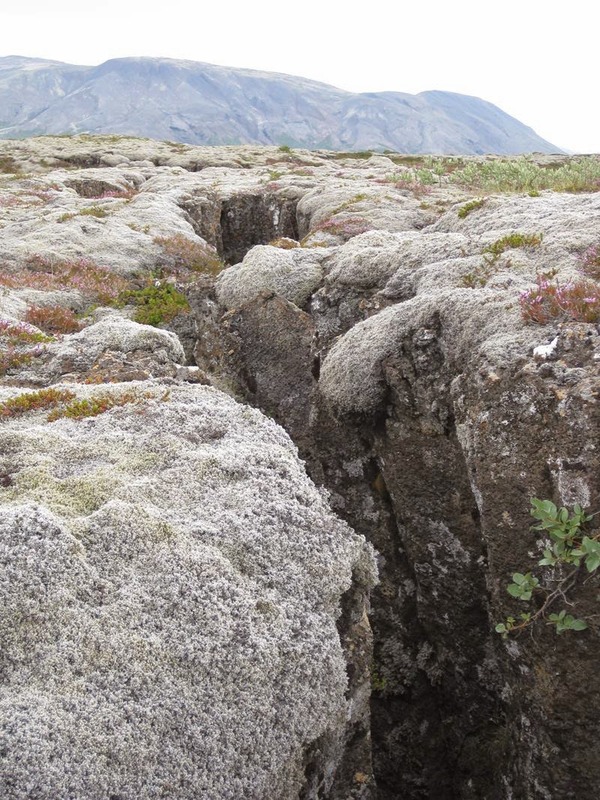 These two tectonic plates drift apart roughly 2cm per year. 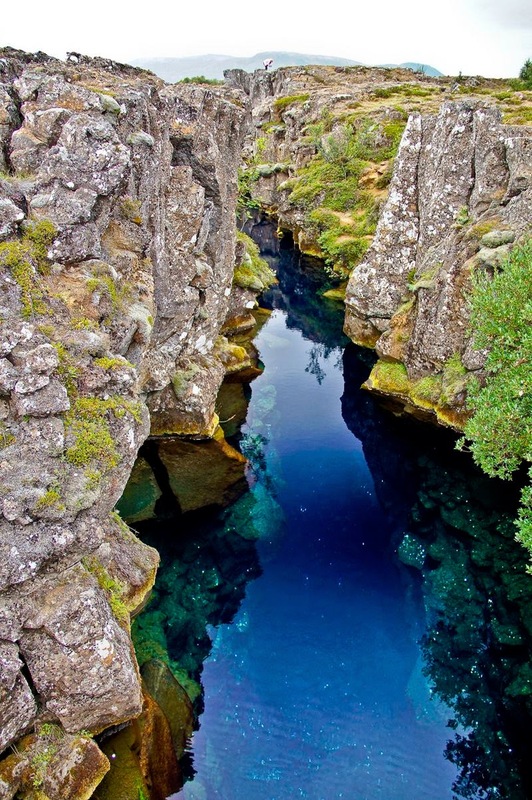 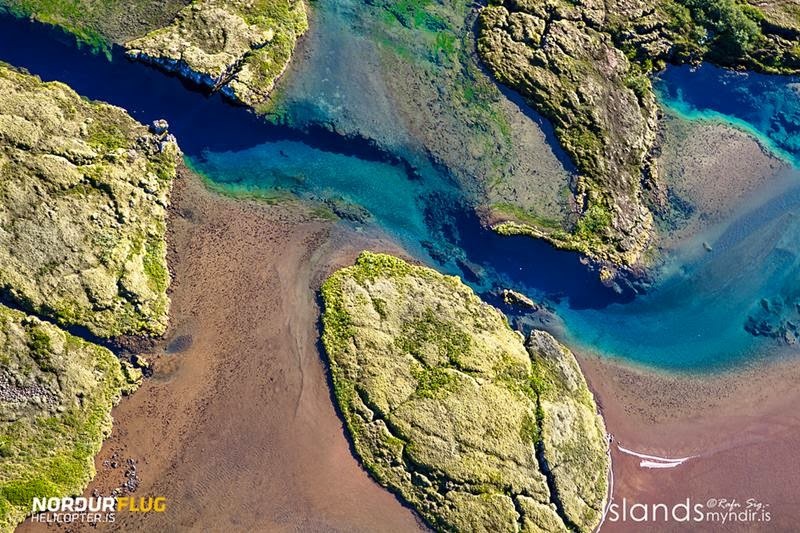 The Silfra crack is located at the rim of Þingvallavatn Lake located within the Thingvellir (Þingvellir) National Park, South Iceland.